IN THE WAKE of hurricanes Harvey and Irma, some Boilermakers and their families have suffered significant and possibly devastating losses to their homes and personal property. 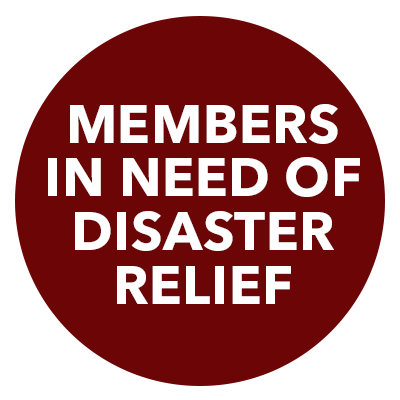 The Boilermakers have processed disaster relief checks for 25 members and retirees from Local 74 (Beaumont, Texas), Local 132 (Galveston, Texas) and the Quality Control Council of the United States. If you have been impacted in this way, disaster relief assistance may be available to you. Contact your local lodge or call Mark Garrett, Director-Health & Safety Services, at 225-276-6796.